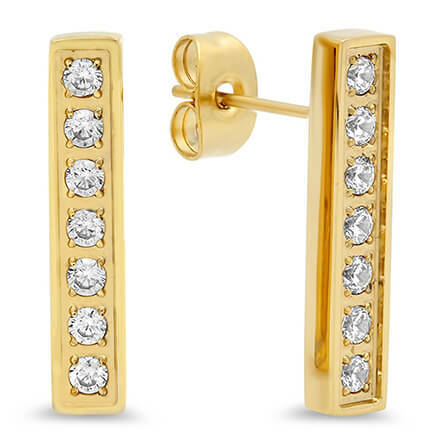 Add 2 Jewelry Helpers to Cart, Get $1 Off each! I love these necklace clasps! I have them on all of my necklaces! Saves fingers trying to manage the small necklace clasps. Great to use for necklaces that are hard to fasten by yourself. I've been having trouble getting my necklaces (the ones with lobster or especially round clasps) for a while now. Have tried other products, such as the connectors that have to be screwed into each other - they were no easier to use than the clasps. The magnetic connectors are an answer to my dreams. So easy now to put on my many crosses and other necklaces. This one gets a perfect 5! DUE TO ARTHRITIS THIS PRODUCT IS A LIFE SAVER. Reliable, time saver. Like so much I doubled on reorder to leave in place on necklaces and bracelets. It is difficult for me to fasten necklaces and this solves the problem, so easy to use! This permits me to wear a necklace my son gave me when he returned from deployment in Iraq that I could not wear since I could not open the clasp on the chain with my arthritic fingers. It also permits me to leave it on 24 hours a day, not worrying that it will open. I have worn it to bed without a problem. I love these jewelry clasps. I'll probably order more. I've always struggled trying to get the hook latched on my necklaces. These magnetic clasps make it so easy. These are great for necklaces but I would not recommend for bracelets. On necklaces, they work very well and are easy to apply and I have never had one come undone. On bracelets, there is probably too much movement of the arm and I can see they might not stay together. I have trouble hooking my necklace and bracelets together, and this clasp makes it a snap to hook them! I can even use these with my expensive pearls. They stay secure. these are great! the convenience to easily put on and take off without help is priceless! I was having a difficult time trying to put my necklaces on and when I saw the magnetic clasps in your catalog I had to give them a try. Now putting my necklaces on are quick and easy. Purchased for elderly arthritic woman who was unable to open and close conventional clasps on treasured necklaces. I helped to attach them in seconds to her jewelry and she was able to put on and take off her jewelry unassisted! 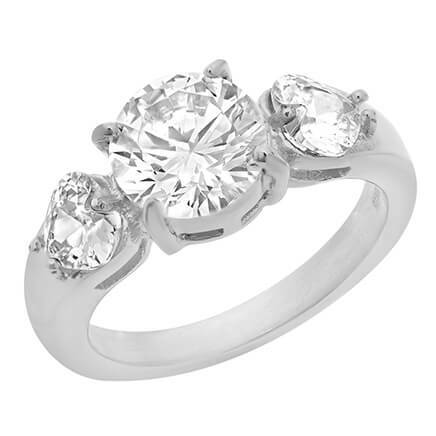 She no longer had to forego wearing sentimental jewelry! Independence and emotions were instantly uplifted. No fear of magnet detaching and losing the necklace because it is strong and has a secure interlocking design. Allows me to put on my own necklaces, even when my RA is acting up. Have tried others, but they were heavier and not as easy to use. I have other magnetic clasps which are heavier and not as cleverly designed. I like the dainty design. It looks as if it belongs to the original clasp. Gone are the broken fingernails and the swear words. I have these magnetic clips on each of my necklaces! I use these magnetic clips on each necklace for myself and have given necklaces to my six-year-old granddaughter. They make putting on and taking off a necklace much easier for hands that don't like tiny clips on necklaces. They are also a safety feature for the six-year-old. The clip is more likely to detach quickly than the regular clasp if tangled in hair or clothes. Mommy gave the granddaughter a unicorn necklace for her birthday and the granddaughter's first comment was, "we need one of grandma's clips"! A great endorsement for the magnetic clip! 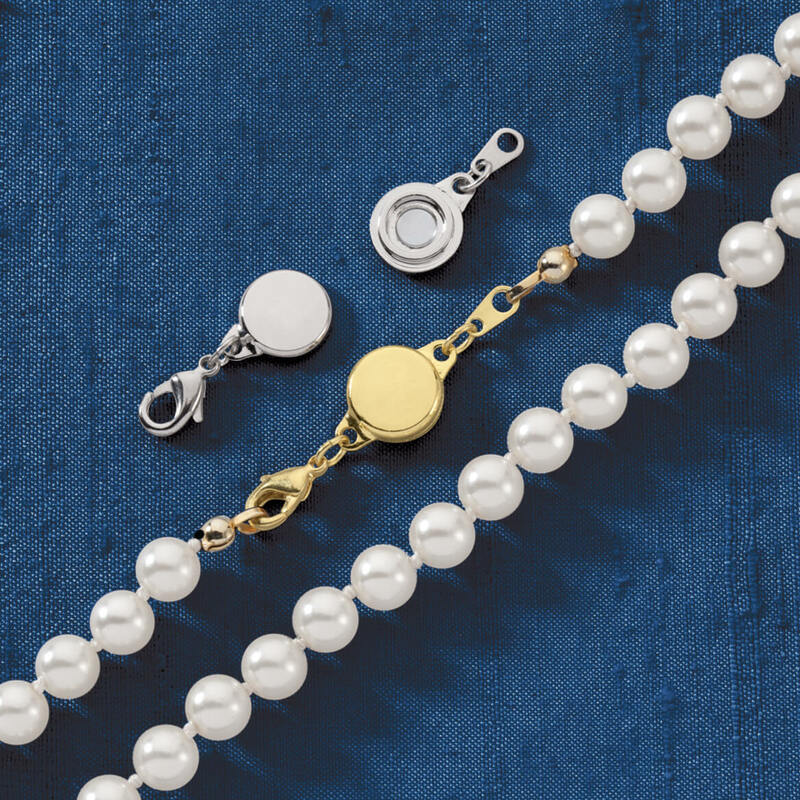 No more hassles with necklace clasps! I love these magnetic necklace clasps. I am slowly getting one for each of my many necklaces so I don't have to worry about the hassle of getting the clasps to work! These make getting dressed SO much easier and faster. Placed a second order and will probably buy more. just 2 words! LOVE THEM!! I had trouble getting the tiny clasp on my necklace fastened.With the magnets it's a snap!! 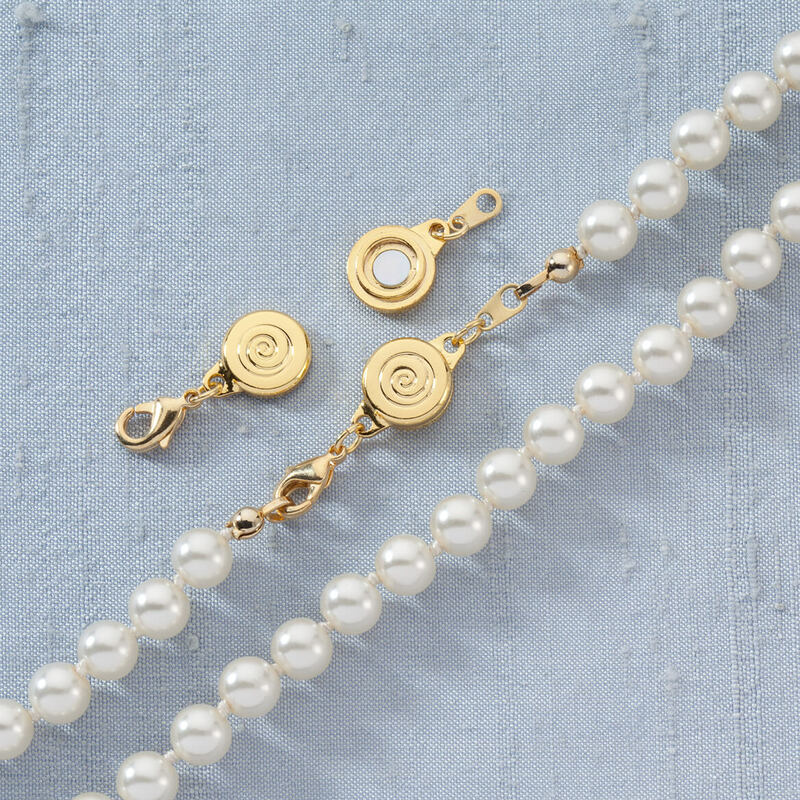 These clasps help when you've broken a clasp, need an inch or so to lengthen your necklace, or when you can't manage to close the one you have. So easy to fasten necklaces! I like this product because my fingers are too stiff now to connect many of my necklaces. The clasp also adds a little length to beads and chains which I like o have. The magnets are strong enough to hold through gentle tugs and pulls. I cannot hook my bracelets or necklaces anymore due to arthritis in my hands. With these magnetic claps, I am able to wear my bracelets and necklaces once again! I bought this for my 82 yr old mom. She has bad arthritis and could no longer do the clasps on her necklaces. She is now able to wear the necklaces she wants with out help from anyone! I have several necklaces that I love but was not able to latch, I tore up my finger nails just trying to open the clasp. Using the magnetic clasp means I don't have to ask my husband to help me get my necklace on, I can do it myself. 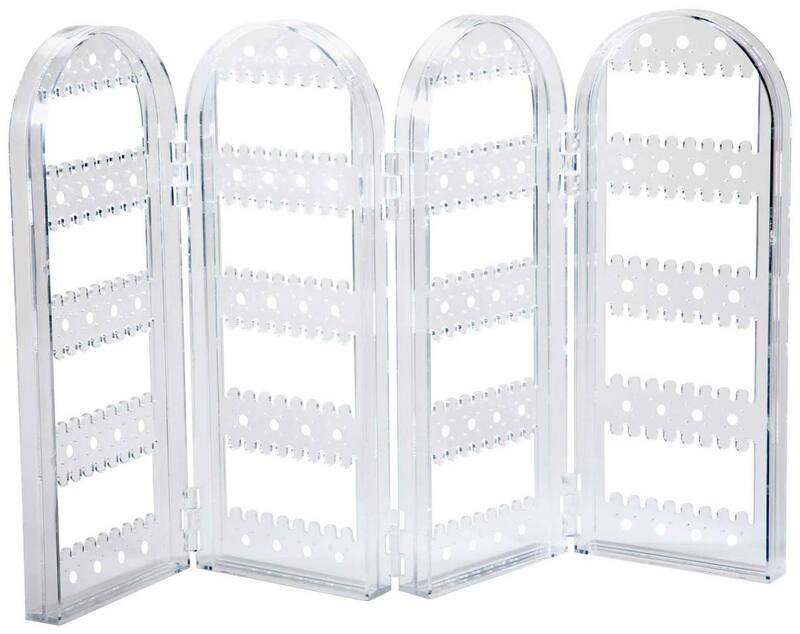 I have another product that does the same thing, but these look much nicer and are easier to use. I have some other magnets that do the same thing, but these look so much better and are easier to use. Love these clasps. Now I can put my necklaces on with no problem. Is helpful for fingers that are not as nimble as before. These were easy to add to necklaces and made wearing jewelry much easier when there is no-one around to help hook the traditional closures. Simple but surprisingly strong. Not intrusive I. Looks. Hands down these are the best jewelry magnets I have ever purchased. I love them. I bought these for a friend in silver and gold colors. I have purchased them for myself and I have to say that I like these much better than the barrel type. These are great for people with carpal tunnel, arthritis or anything that makes regular clasps difficult to use. Instead of screwing them in like the barrel type, you just place them together and do a little twist and they fall into place. To remove them, you do another little twist and lift them apart. Easy peasy. My fingers don't work like they use too and my sight is not the best, so with these magnets I am able to put my own necklaces on! They are such a blessing. I am amazed at how strong the magnet is. Yet a simple little twist and it will come apart for removal. I will have to order more as I like to leave them on my necklaces. These clasps work great for me I have long hair and it's hard to hook the regular kind and these are fast to put on and take off. I like them so much I bought them as gifts for other people . A friend gave me one of these and I was so impressed. I have purchased these in the past and find they work better for a pendant. Genius for people with arthritis. One thing I did learn, was remove them when putting pendant in jewelry cleaner. 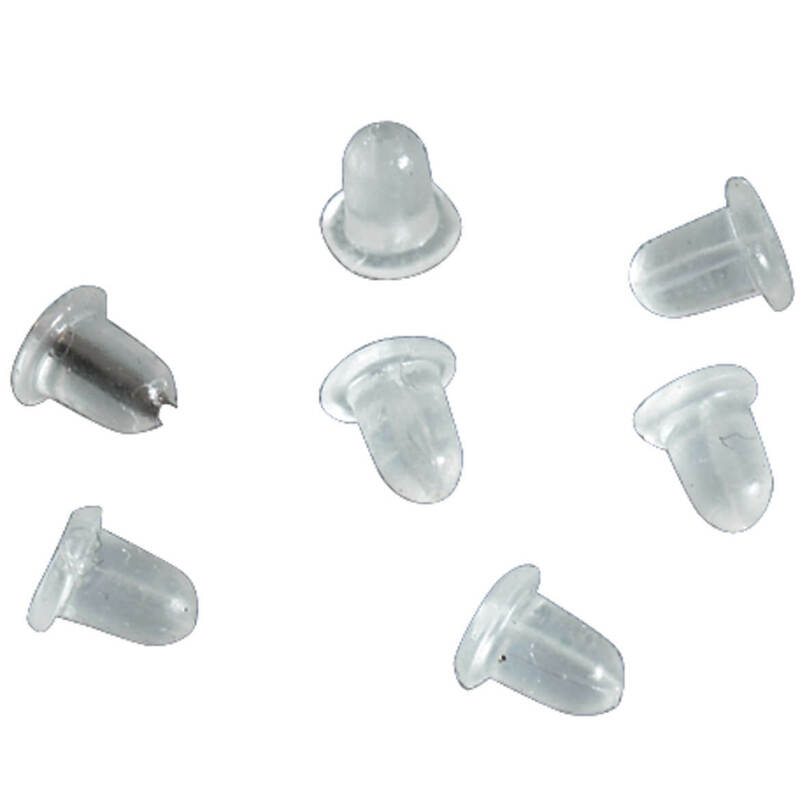 These are really convenient for an older person like myself who has a hard time fastening our jewelry, but next time I order anything like this I will do it along with other things. It is too expensive by the time you add the price of the item to the cost of shipping. These magnets make it so much easier to put your bracelets on. They stay together all day. If you have any physical problem with your hands or sight these magnets are for you! These clasps make putting necklaces on by myself a simple task. Some of the commercial clasps are hard to handle by myself. I was skeptical about these magnetic clasps because several of my necklaces are valuable and I did want to take the chance of losing them. I was also concerned that this inexpensive solution would look tacky attached to my treasured pieces. The magnet holds my necklaces securely enough that I can sleep while wearing my favorite one. However, if my infant grandson gives a really good tug, it has occasionally come loose. I am impressed with how well the clasp holds. I had inquired at the jewelry store when I purchased my most recent gold chain and they wanted to charge me over $200 for a magnetic clasp. I am so pleased that I can finally easily put on and take off my favorite necklaces without having to wait for someone to help me with the clasp. I wish I would have purchased them years ago. A boon to me. as I have arthritis in my hands, and tiny spring ring and lobster claw clasps were beyond me. 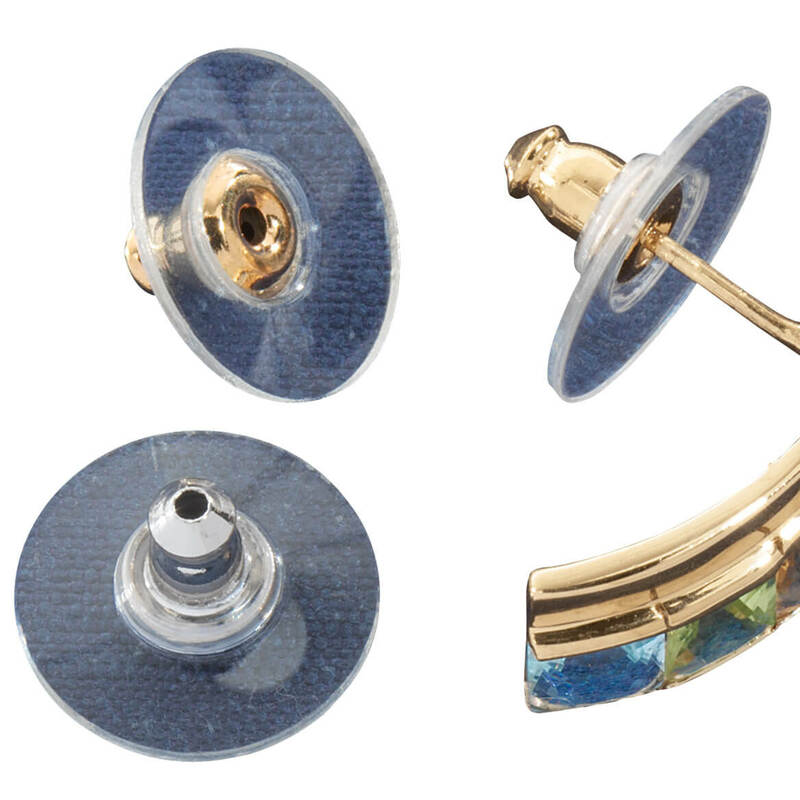 These modify the clasps, are very easy to apply, and are a breeze to use. They feel secure when the necklace is around my throat. They're really pretty, too. i have the goldtone and they work very well so now want the silver. i tried another style from a dif catalog and they didn't even work. i like the look ; i like the ease; i like the price. I have some already and love them. I hope these will work with my necklace. -- and perhaps a bracelet. I chose this item because I have a bracelet that is very difficult to clasp together. I'm hoping this will solve my problem and I'll be able to wear it more often. Arthritic hands do not allow me to open clasps. I have some like this and they are so handy to close necklaces, esp if you have a very small closure or have arthritis in your hands. I need to make necklaces easier to put on. My mother recently mentioned having a hard time getting her necklace off. 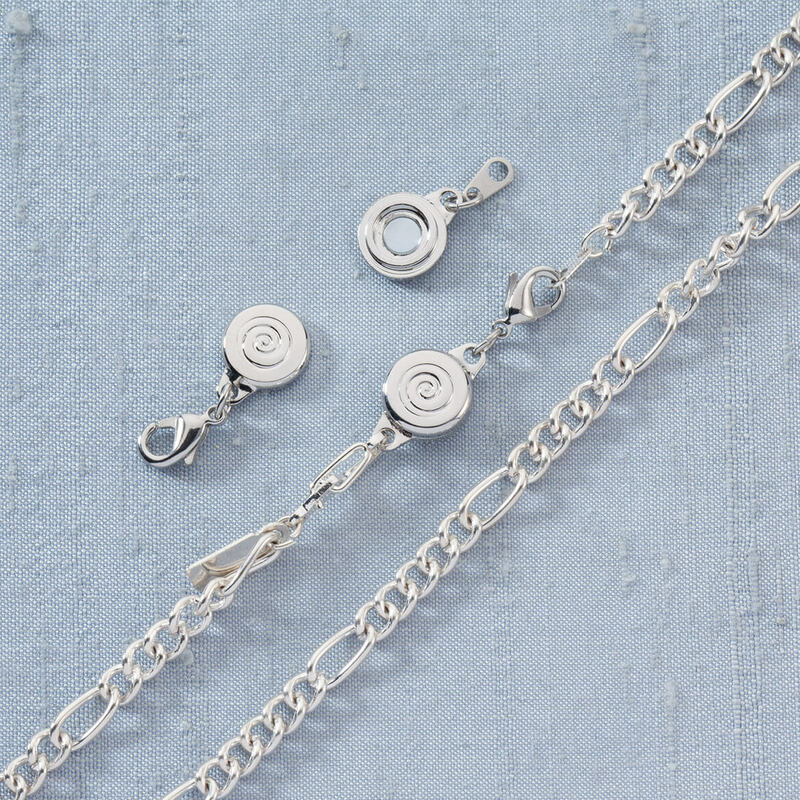 I thought of these clasps, and I am ordering some for her for Mother's Day. Ease of use. I have had carpal tunnel surgery on both hands, and have difficulty maneuvering small items. I love the ease of wearing necklaces that my arthritic hands couldn't work clasps. I have tremors and can never get me necklaces on by myself. Small clasps on short necklaces are difficult to maneuver regardless of how nimble one's fingers may be. These seem to be a logical and, hopefully, workable solution to this issue. I am having a hard time with small jewelry and I think these magnets will help. can't lift my arm around my neck to fasten with the clasp. however these are much too small and too thin. I have Arthritis and I'm hoping these magnetic clasps will help me. Friends with problems using their hands to fasten jewelry, especially necklaces. Used these for years. I like the convenience and ease of use. Because I use them already and I needed some more of them. Have a couple of necklaces that I can't manage the tiny clasp. Hoping this will help. Have bought these before, so easy to get my necklace on, have never lost one with the locking magnet. Already have used them. Like them. I have some necklaces that don't stay fastened. To put on a couple of bracelets so I can get the bracelets on myself without help from someone else. For my mother's arthritic hands. 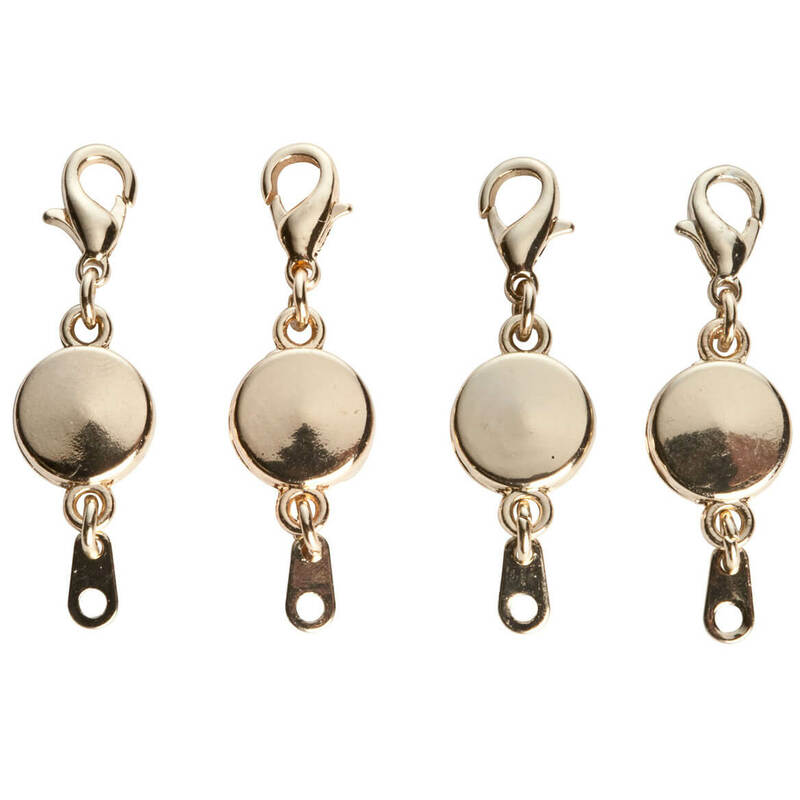 I purchased these locking magnetic clasps in both the silver and the gold tone because they make it so much easier to fasten and unfasten necklaces. Have used this product before and loved it! So convenient and easy to use. I have ordered these before and they work very well so I wanted more to leave attached to each necklace. So easy to put necklaces on and off and the magnet holds very well. Magnetic clasps work really well. I need more. They work great! I have purchased them before and they work well. I have trouble with my hands. I have tremors. These are the best magnetic clasps I have ever bought. I've tried others but these are the easiest to attach and use. Good for older people who aren't as nimble as they once were. You don't state how big these magnetic clasps are? I had some that were too big and weighted the necklace down so it was always twirling around to front. BEST ANSWER: I found these magnetic clasps to be very useful on necklaces as they are light weight enough to stay put at the back of your neck. Have not tried them on bracelets. Magnet might not be strong enough especially if you used for other than a social outing. I am very satisfied with the purchase. These are probably the smallest you'll find. The are good for light weight chains. I've also had some other magnetic clasps that were heavier than the pendant or the chain. Does the color fade quickly? BEST ANSWER: I haven't used them long, but my Mother had them and the color seemed to last well. Very handy product, especially for women with arthritis. Hav not appeared to wear off but I haven't used it very often. I am not expecting it to change color. I have not used them yet on my jewelry and therefore cannot answer your question at this time. Yes, I found that the gold tone wore off very quickly. does this clasp hold securely? BEST ANSWER: Holds very well. Have bought and shared them with 2 daughters and a friend. Absolutrly secure and so easy to use..I have these on all necklaces. Yes. They work just fine for my arthritic hands. Yes, they are very good quality. Are these easy to take apart? My mother has "Swans" arthritis in both hands/fingers making anything extremely difficult for to do with her fingers. I worry about her being able to take her necklace off without breaking the magnetic piece by pulling it apart. BEST ANSWER: The short answer is very easy. I also have arthritis and that's why I got them. Be sure to put them together for her...I couldn't do that. But once they are together she will be able to work them easily. I love them and have them on all of my necklaces and bracelets. I don't need help from anyone any more. They are so quick and easy...both on and off. I also have arthritis in my hands and these clasps work for me but other styles of magnetic clasps are easier. you need to slide them apart...if you pull from necklace you will break apart. are the magnets hard to attach to the necklace chain? BEST ANSWER: they attach very easily to the clasps of the necklace or bracelet. It is a strong magnet that I have used for almost two years and it is still just as good. Had the other barrel type and this is much better. It makes them a little bit longer but not much and I would njot hesitate to get more if I needed them. these are very easy to use. I would purchase again. The magnets are very easy to attach to the chain. What is the diameter of the magnetic discs that interlock? How large is the hole on the end where a necklace would attach? Is it too small for larger necklaces? BEST ANSWER: Thank you for your question. The part containing the magnet is approx. 11/32” in diameter and the hole to put the necklace clasp through is approx. 3/32. We hope this information will be of help to you. They are about 1/4 inch and they fit the littlest chain I have. They do tend to travel from the back of the neck around to the front. But they are easy to fasten. Will this fit a collar necklace that has "springy" extension chain links? The magnet has to be sturdy and strong. BEST ANSWER: Thank you for your question. Unfortunately this item will not work for you. We hope this information will be of help to you.